When superior performance and low price come together to fulfill a client’s need. 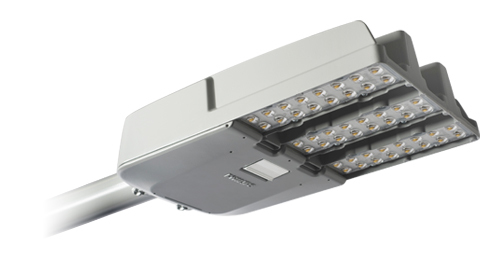 The Philips StreetView LED luminaire is designed for many applications that require medium intensity lighting. It will efficiently illuminate collector roads, city streets, bridges and overpasses, and it is also a great choice for local roads and residential streets. The efficient design and optics make the StreetView perfect for small and medium road lighting needs because it will ensure maximum reliability and security at night for both drivers and citizens. And to up the charm factor StreetView is as easy to install as it is to maintain. Powered by a Philips LED platform inspired by the famous LEDgine platform and featuring innovative thermal management design, this new LED luminaire has two major assets: exceptional performance and unbeatable value.